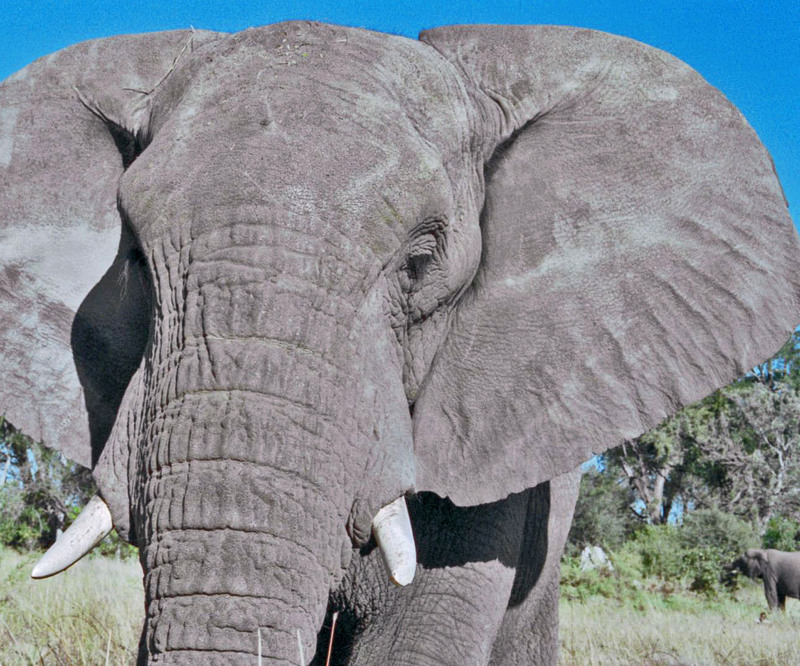 African elephants can be recognized by big ears that mimic the shape of Africa. They use them like large fans, elephant air-conditioning. An elephant produces enough metabolic heat to warm a small house, or light two hundred sixty-watt bulbs. Elephants are pachy-dermed, thick-skinned. They don’t have sweat glands. Instead, their ears act like giant heat exchangers, regulating body temperature. As air moves over the huge network of swollen arteries covering each ear, an elephant’s blood cools as much as nine degrees before it returns to the body. When spread open, an elephant’s ears increase its body size by roughly twenty square feet. That amount of surface area provides a huge stretch of skin that thermo-regulates its body. Every twenty minutes its entire blood supply – one hundred and twenty gallons of it – is pumped through its ears. My teeny, itsy ears are built somewhat the same as an elephant’s ears, with an upper rim of cartilage and a fleshy, lower lobe. But I don’t have an auriculo-occipitalis, an ear muscle the size of a weightlifter’s bicep. I can’t flap my ears. I can’t even wiggle them. Such a beautiful calm face.